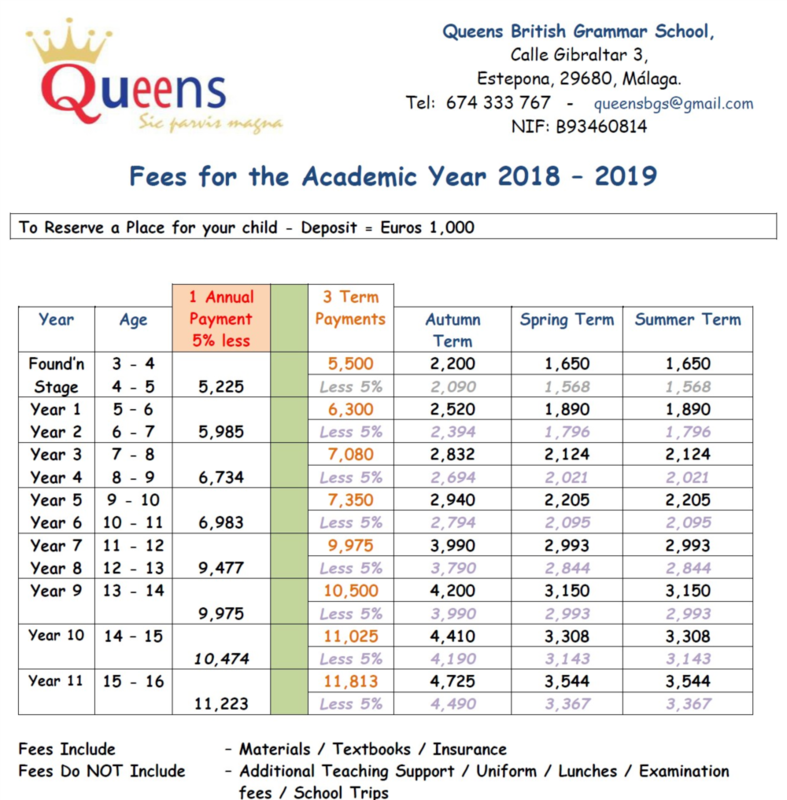 Our school fees are competitive and represent outstanding value. Unlike other schools, our fees include textbooks, materials and we do not charge a registration fee. A deposit of 1000 EUR is required to register your child for a place at the school. The deposit is refundable if the school is provided with one full term of notice. Tuition fees may be paid per term and MUST be paid prior to the start of term. Tuition fees will be discounted by 5% if the annual fee is paid in full. Tuition fees will be discounted by 5% for a 2nd second sibling and 10% for a 3rd. Trips and residentials are NOT included in the term fees and will be charged separately.